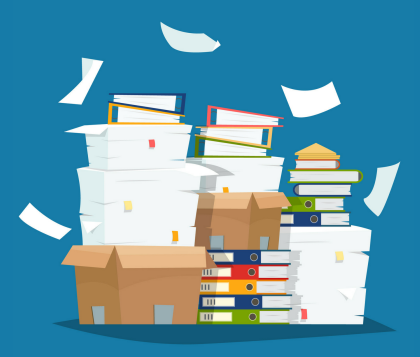 Keeping your private information safe is necessary for all organizations and individuals—but how often you require shredding service is dependent on your unique needs. Large organizations with lots of physical paperwork, such as hospitals, require shredding services on a regular basis. But businesses in other industries may not produce a large enough volume of documents to have a shred truck stop by weekly or monthly. One-time shredding services provide a secure and efficient means to shredding hundreds (or even thousands) of pounds of documents quickly, all at once. Decide whether you want to witness the shredding, or if it can be done at an offsite facility. You can either have a shred truck visit your location and shred your documents while you watch, or have a secure truck pick up your items and shred them safely offsite for you. Get quotes from several different shredding service providers to determine your best option. Prices will fluctuate slightly depending on distance and fees, and some providers offer different services than others. We’ll put you in touch with several of our secure partners so you can choose the best option. Once you have found the best service option for your needs, schedule a date for the shredding service. Make sure your documents are gathered together, and the professional shredder will haul them out to the shred truck for you. Do you need shredding services for a one time purge of documents? Shred Nations has an extensive network of secure document shredding service providers across North America—we can help you find the best service in your area for your exact needs. Call us today at (800) 747-3365 or fill out form to be connected to secure document shredding companies near you. We look forward to helping you keep your private information secure.